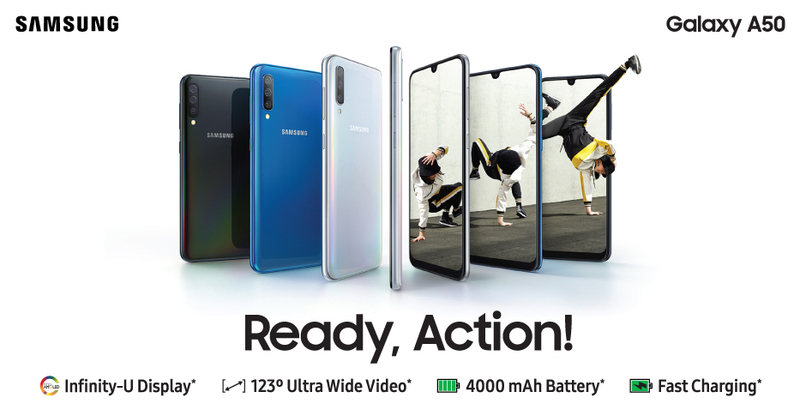 The action phone with Triple Camera #GalaxyA50 is here! It has 123° Ultra-wide lens, sAMOLED Infinity-U 6.4” FHD+ Display, On-screen fingerprint sensor and much more! For details, call us at 08000300300 (toll free).